Can you name this Edinburgh location? If you know click the link below to enter your answer. I will pick a random winner from all correct entries on Tuesday morning, and they will go on to the ‘Winners wall’ for the month. At the end of the month those on the wall will be entered into a draw to receive a prize. 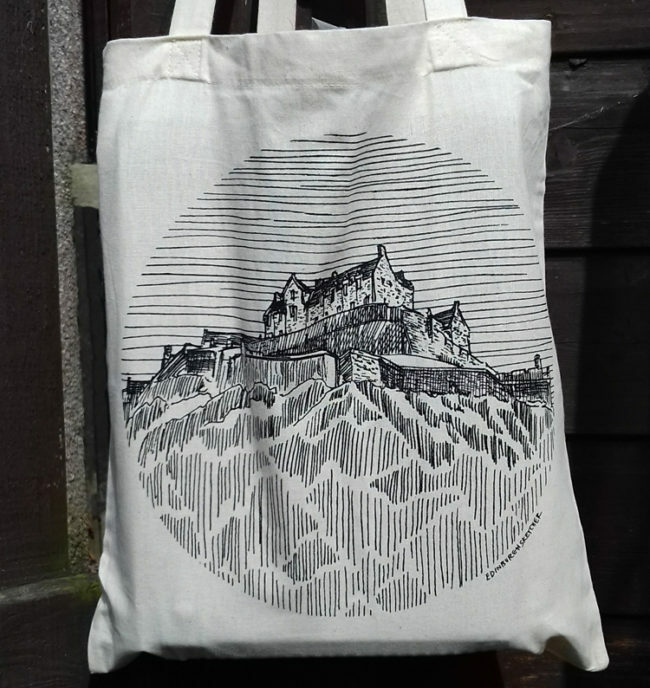 The prize for July is one of my new Edinburgh Castle Totes. Featuring one of my sketches in a circle design the 100% cotton bag is perfect for rolling up and having when you need it. Keep an eye on my facebook and twitter feeds for clues if they are needed later today. I hope you join us to play along and keep looking up and noticing the details in the everyday, you never know where I will be sketching next time! 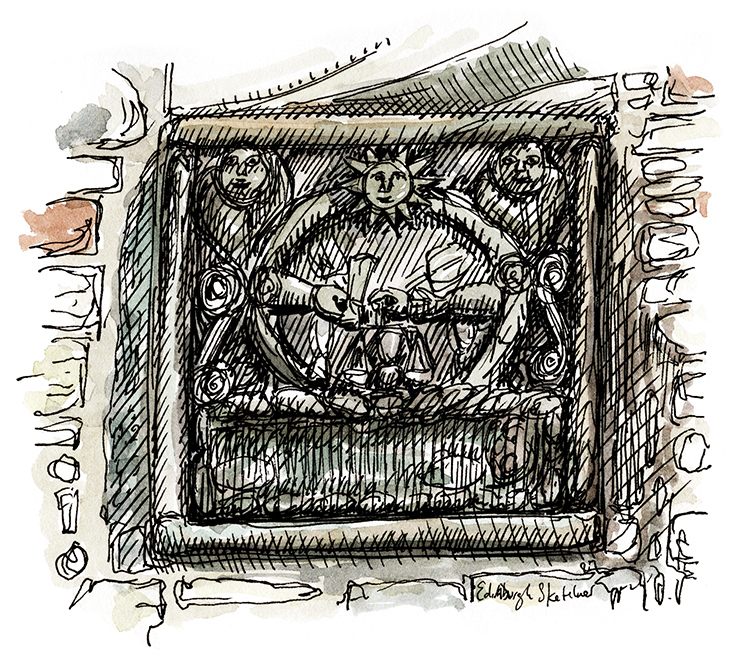 Enter via the link above or email contact@edinburghsketcher.com with the subject line ‘WhereArtI 16th July 2018′.